This week social media has carried a lot about the Greek economy and the crisis in the Euro, which of course holds potential to cause havoc in Welsh agriculture … our farm payments start life in Euros after all and we are all subject to volatility in world markets as the current prime lamb price fiasco clearly illustrates. But the comments on social media are not particularly hard on Greece. 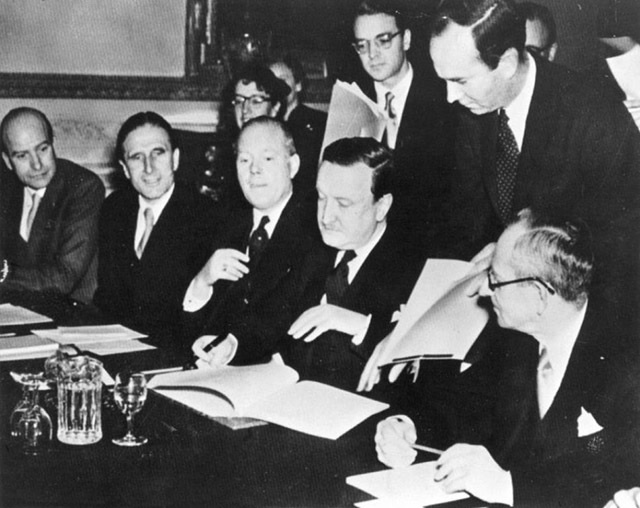 On 27 February 1953, an agreement was signed in London which resulted in the cancellation of half of Germany’s (then West Germany’s) debt: 15 billion out of a total of 30 billion Deutschmarks. Those cancelling the debt included the United States, the UK and France, along with Greece, Spain and Pakistan – countries which are major debtors today. Following the debt cancellation, West Germany experienced an ‘economic miracle’ with large-scale reconstruction, and high rates of growth in income and exports. As soon as he got outside he seized a man who owed a lot less by the throat and demanded his money back, refused that man’s pleas for mercy and threw him in gaol. When the first, most powerful man heard about this he was furious, called the unmerciful man back, threw him in gaol and promised he wouldn’t get out until he paid back every penny. Now of course Jesus wasn’t talking about banks or nations He was talking about us. Surely it’s a mug who loves his grudges more than he thinks he needs and asks for the mercy of God both for the stuff he’s done or failed to do and just plainly got wrong? Give it a thought. Let us know what YOU think? !